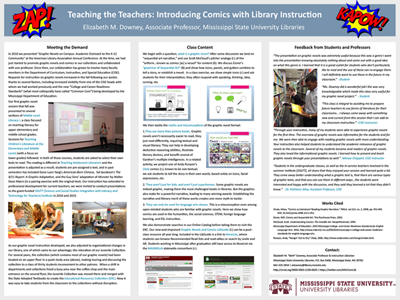 In 2010, we presented the poster "Graphic Novels on Campus: Academic Outreach to the K-12 Community" at the American Library Association Annual Conference. At the time, we had just started to promote graphic novels and comics in our collections and had collaborated with one professor. Since then, our collaboration has grown to involve many faculty in the Department of Curriculum, Instruction, and Special Education. 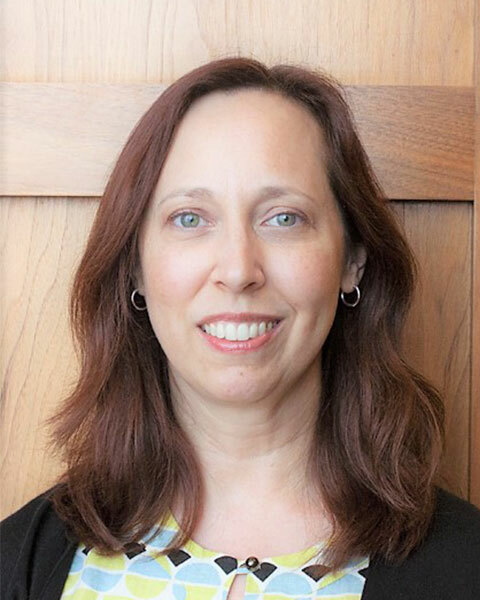 Professors consistently request regular instruction in graphic novel use for their education majors in two classes; Children’s Literature and Adolescent Literature. In these classes students are required to read a graphic novel and prepare a book talk or lesson plan that incorporates the material. Using examples from our Educational Resources Collection, a specialized LibGuide, database and catalog instruction, and guided searching in the stacks, these up-and-coming teachers walk away with a greater knowledge of these unique resources, carrying them to their future careers and lesson plans. This session will incorporate many of the resources we use in our instruction sessions, as well as feedback we have received from faculty and students in the College of Education.